Will we find out more about the iMac Pro next week? And the macOS High Sierra release date? The new iMac Pro is the new workstation-level Mac we've been waiting for. it features a 27-inch Retina 5K display, up to 18-core Xeon processors and up to 22 Teraflops of graphics wonderment. The new iMac Pro will be with us in 2018, but the new, ultra-powerful 27-inch iMac Pro features processors with up to 18 cores and up to 16GB of video memory. 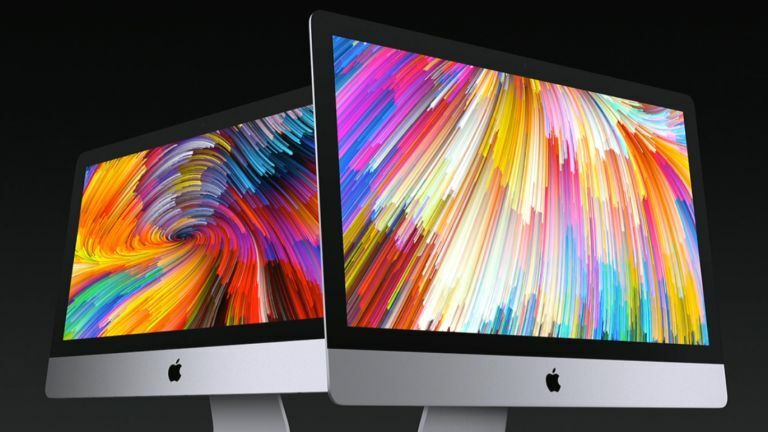 The clue's in the same: the iMac Pro is mainly aimed at mobile and desktop app makers, but there are always plenty of more consumer-focused updates. Want some more amazing specs? iMac Pro also supports up to 4TB of SSD and up to 128GB of ECC memory, and with four Thunderbolt 3 ports can connect to up to two high-performance RAID arrays and two 5K displays at the same time. Finally, there's also 10Gb Ethernet for up to 10 times faster networking. Apple says that the iMac Pro release date is December and prices will start at $4,999 (US). We're expecting more details at Apple's iPhone 8 launch event next week (or maybe it will be called the iPhone Edition or iPhone X) when we're also expecting the iPhone 7S. Apple reiterated it will make a new "completely redesigned, next-generation Mac Pro architected for pro customers who need the highest-end, high-throughput system in a modular design, as well as a new high-end pro display". When is the macOS High Sierra release date? The new version of macOS has a name and it's macOS High Sierra! Interesting name, but it's a region of California where Apple is based. There are a number of updates in this new version of macOS. Spotlight is being integrated into Mail and will take up 35% less space as a result, and the Apple File System is the new default in High Sierra. Photos are going to be easier to sort through, as you can now filter them by tag or order. And the photo editor is also being made easier to use. Safari's been improved too, and is apparently 80% faster than Chrome, and graphics performance should be better as well, thanks to a new developer language known as Metal 2, which also includes support for VR. Check out all the reasons to upgrade to macOS High Sierra. We might also see a new 4K Apple TV and Apple Watch Series 3 at the same event. And we'll definitely get iOS 11 and watchOS 4.